With spring exactly one month away, one of the priorities being promoted by the Home Garden Seed Association in conjunction with the Xerces Society is to plant more flowers and help in the cause of pollination. Is this simplifying a larger challenge related to diversifying our food supply and less disturbance of land? Either way, promoting native flower cluster plantings and limiting the use of pesticides are always worthwhile practices for the individual gardener to adopt despite that many of the challenges afflicting our society are more global and bigger than us. However, all great solutions, even those global in nature, often start with small, incremental steps. As the spring 2013 release from Home Garden Seed Association www.ezfromseed.org states, “Every flower border, bed, and window box helps!” If nothing more, it is a perfect way to reign in the new spring by beautifying your own space. As Georgia O’Keeffe, the American artist pointed out, “If you take a flower in your hand and really look at it, it's your world for a moment.” Imagine when you plant flowers for yourself and all the invertebrates. Why did I choose this archived image today? Although this flowers in the fall, Gentiana andrewsii (Bottle gentian or Closed gentian) has an interesting blossom; staying almost completely closed, which is rather unusual for a flower. 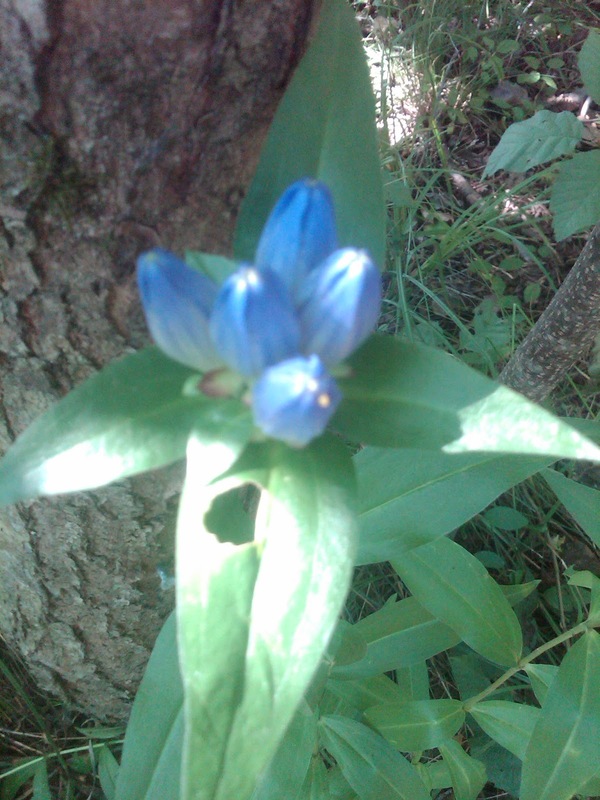 Bottle gentian is pollinated by bees that actually open up the closed blossoms and crawl inside.